Yesterday I was insanely lucky enough to be invited to the Benefit #AbracadaBROW blogger's event at John Lewis in Sheffield. Two hours dedicated solely to brows? Yes please! My eyebrows have always been something I've pretty much ignored during my beauty routine, so it was absolutely amazing to be taught how to define them properly into signature Benefit WOW Brows. Our lovely hosts were the beautiful Hannah and Sophia who were so funny and bubbly and made us all feel really welcome the entire time we were there. I learnt so many tips for how to make the most of my little blonde eyebrows - I certainly never knew that brow mascaras such as Gimme Brow were supposed to be used against the hair growth, then back again to add gorgeous volume and fullness to sparse brows, something I will definitely take care to remember. The new products were passed round for us to have a look at (I ended up cover in swatches, natch) then it was our turn to have a little play with the brand-new brow beauties. I then was the first (yay!) to have a total brow-makeover by Sophia, and oh my gawwwwwdddd they looked so awesome! I wish I had taken some before and after photos just to show how sassy they looked after their transformation. There was absolutely no pressure to buy anything whatsoever, and it was lovely to see some fellow bloggers such as Becky (Prime + Dine) again. However obviously, I couldn't resist treating myself to some goodies! 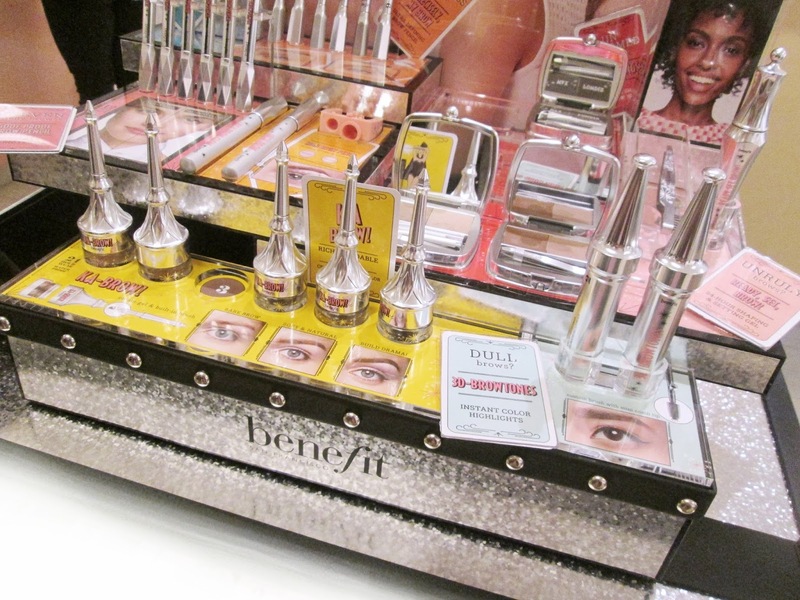 The collection consists of a now ten fabulous products, listed below with the descriptions from Benefit's own website. It conditions. It primes. It enhances colour and extends wear. Be prepared for fuller-looking brows with the NEW browvo conditioning primer. Define that line. Ultra-thin precision for perfect hair like strokes. Introducing the NEW precisely, my brow pencil. 6 shades, 12 hour wear, #wowbrows guaranteed. The best-selling taming & shaping kit is now available in 6 (whatttt?!) shades AND a new extendable dual-ended brush. You know it, you love it, its brow zings. Oh hello, who’s this newbie on the block? Do you like big brows and you can not lie? Then you just might want to give the NEW ka-brow a try! 6 shades. 24-hour wear. Waterproof. Rich, buildable colour. Cream gel…you need to try it for yourselves! Loving your new outfit gimme brow, but what’s this 3 we see? 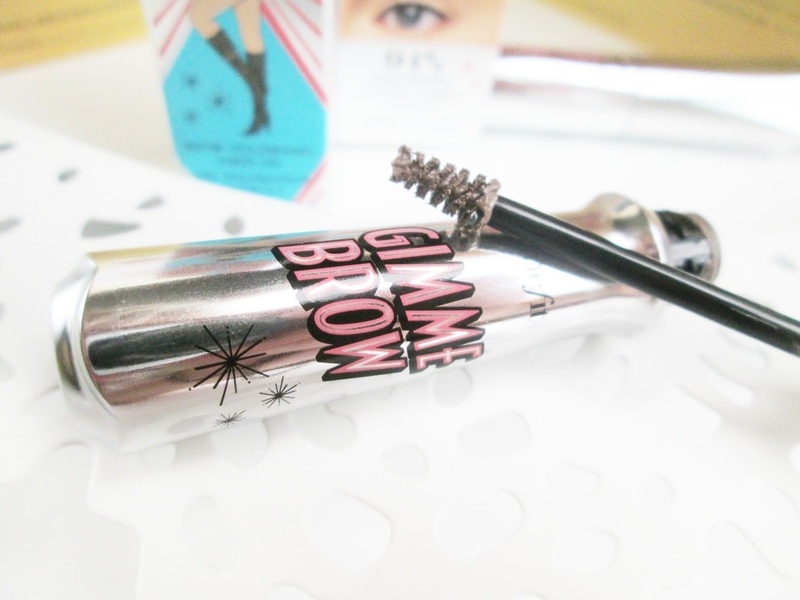 Yes, gimme brow now comes in 3 shades! Wowser. 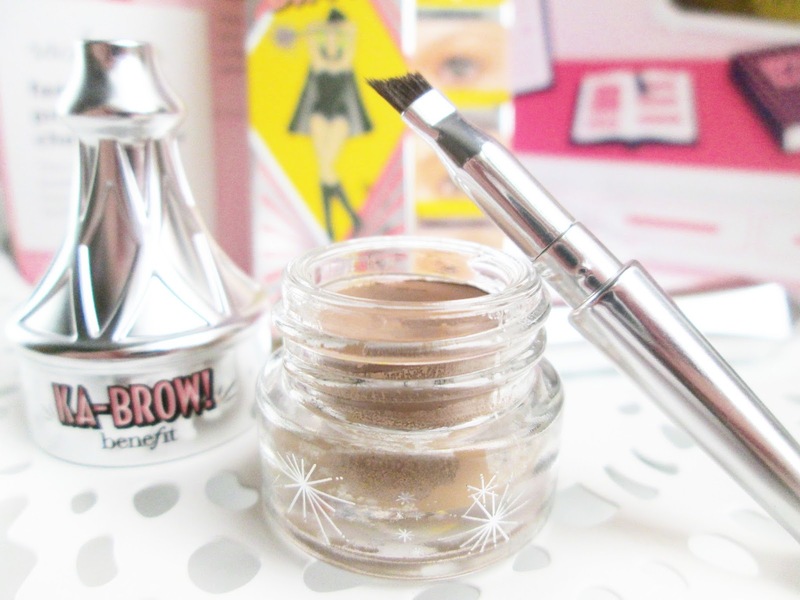 Could this brow-volumising fiber gel BE any better?!! Flat, drawn on looking brows be gone! It’s the product you never knew you needed. Introducing the NEW 3D-browtones, for subtle brow-enhancing highlights. 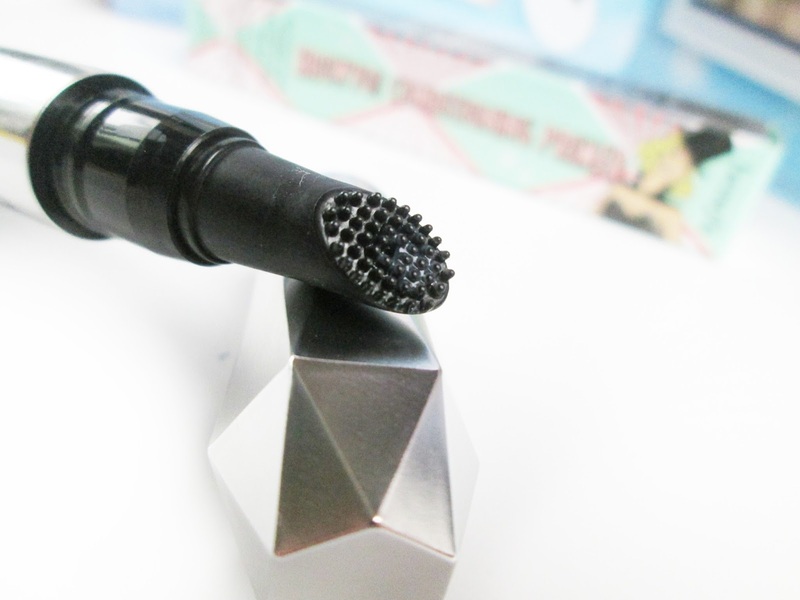 Trust us Benebabes, you NEED to try this! Put the hairspray down! NEW ready, set, brow locks on brow makeup and keeps those pesky hairs where they should be. No colour. Quick drying. The ULTIMATE shaping & setting gel. Last but not least let’s get those brows to new heights with our faves high brow & high brow glow pencils. Beautifully, blendably, it just gets us like AHHHHH. The products I purchased for myself were Gimme Brow in shade 1, and the fabulous new Ka-Brow, also in shade 1, for £18.50 each. I was absolutely crazy-impressed with the range of shades available. 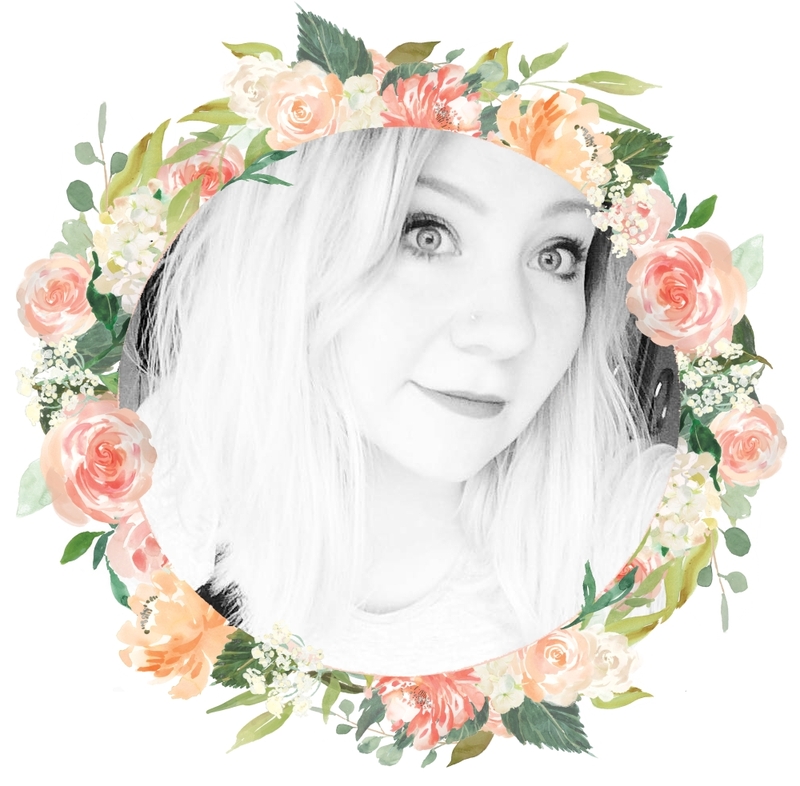 I was colour matched to be the lightest shade and I loved how the products were all truly blonde, not just a light brown or auburn, like I have found with other products. I would like to say a huuuuuugggeeee thank you to Hannah and Sophia for a wonderful morning of brow beauty and champage! Cheers, Girls! I can't wait to try and review these products all properly! What do you think to the new brow collection? Oh my gosh Kabrow looks amazing! I'm so jealous of you!